Start your day with our premium buffet and the taste of British cuisine. 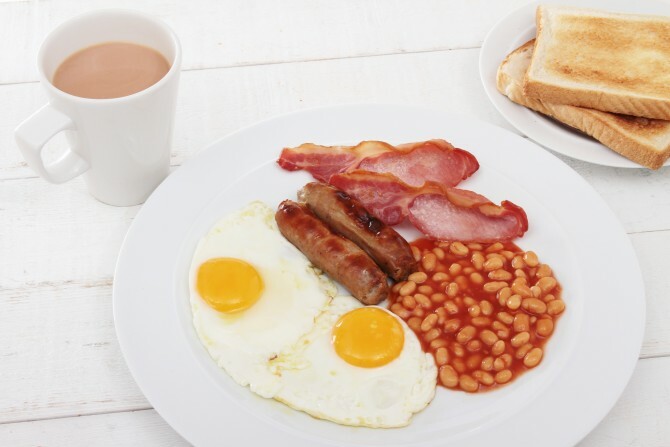 Spoil yourself first thing in the morning with an unlimited Full English Breakfast experience: from sausages and bacon, to beans, scrambled or poached eggs and orange juice. Enjoy your breakfast at our stylish Glaze Restaurant or, alternatively, delight yourself with the views across the lake and lawn when seated the Conservatory. Those with a sweet tooth can choose from a wide range of pastries, cereals and breads. In addition to the buffet, we also offer pancakes, porridge or toast that can be ordered from the waiter. For a healthy option, choose an item from our selection of yoghurt, muesli, fruit and juices. Get a bit of extra energy with our speciality coffees available from the ‘Bean to Cup’ machine or a decadent tea. Why not combine an energising English breakfast with a relaxing spa day. Breakfast is served from 6:30am to 10:00am on weekdays and from 7:00am to 11:00am on weekends.